NOTE: This Eclipse has indicators affecting: Sea Coasts & Rivers, the Clergy & Religious Matters. Also Droughts, Deaths of great or famous women ... may affect livestock . War Drums and Nature Disasters. "Unpleasantness while traveling". N O T E: War Indicators are present in this Eclipse chart. "Great powers locked in a battle ... The outbreak of a great war ...the use of much violent force". However; "Violent Nature Forces" are also indicated. Indicators are also present for a "war among the eminent or elite" ... which may or may not break out in overt physical ways. "The Masses" - Communities - Crowds - Gathered groups of people under threat. Followers of blind belief. Deluded Demonstrators, mob rioting, religious zealots. Collapses of Structures ... things that "slip": can include roofs, stages, construction sites, cranes, etc. "A Distortion of Destiny": headed down the wrong road.
" BIG " ARRESTS: Arress of important or high-profile persons. Crooks & con-artists - Anarchists - Dangerous people; Grifters, the unbalanced, people with questionable, criminal and/or destructive lifestyles. 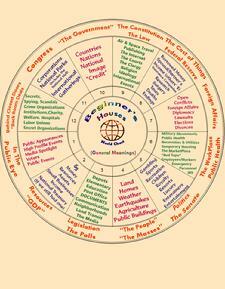 "To Champion Causes" thru either propaganda, religious rhetoric or thru a decision that is announced. All THINGS POLITICAL: Angling & wrangling, Nominations, Legislative Votes, pronouncements - Power Urges & the Desire for Significance - Debates - Finger-pointing & attacks, Throwdonws & Showdowns - Electioneering, running for office - accepting a nomination - Agendas & Ambitions, Races & Battles - Stand-Offs & Run-Offs. POLITICAL CONFRONTATIONS. Strong Emotions for good or ill. Deadly Paybacks: "A HIT" - An adversary singles someone out. 2 Sides, "Locked in a Battle". BUT; on 11 August 2018 ... the very next New Moon will ALSO be a Partial Solar Eclipse... just one month after the July 13th Eclipse. A very active year. Rogue Waves - Tidal Waves, Isolated Tidal Surges - Tsunamis - Innundations & Floods. Battles with Nature ... Issues of Survival - People stranded or stuck. Death tolls possible. Evacuations possible.